Insomnia is on the rise. Villainous and unforgiving, it’s the enemy o f energy and focus, the thief of our repose. But can insomnia be an ally, too, a validator of the present moment, of edginess and creativity? Marina Benjamin takes on her personal experience of the condition—her struggles with it, her insomniac highs, and her dawning awareness that states of sleeplessness grant us valuable insights into the workings of our unconscious minds. Although insomnia is rarely entirely welcome, Benjamin treats it less as an affliction than as an encounter that she engages with and plumbs. She adds new dimensions to both our understanding of sleep (and going without it) and of night, and how we perceive darkness. Along the way, Insomnia trips through illuminating material from literature, art, philosophy, psychology, pop culture, and more. Benjamin pays particular attention to the relationship between women and sleep—Penelope up all night, unraveling her day’s weaving for Odysseus; the Pre-Raphaelite artists’ depictions of deeply sleeping women; and the worries that keep contemporary females awake. Insomnia is an intense, lyrical, witty, and humane exploration of a state we too often consider only superficially. 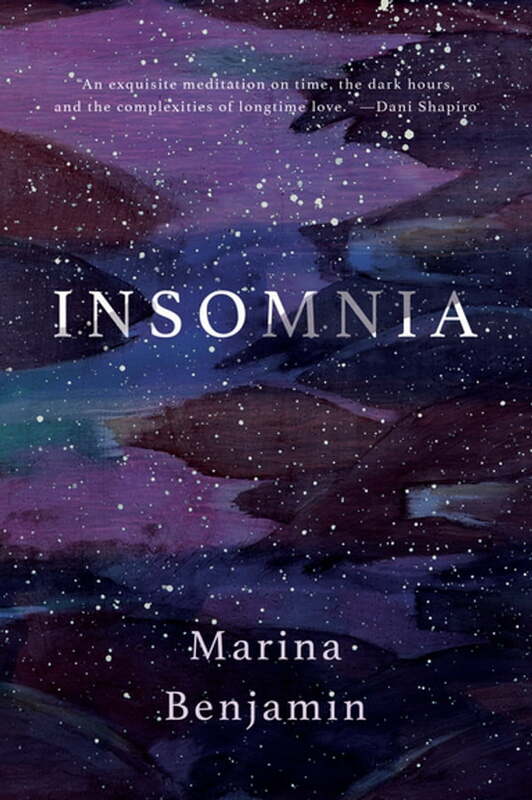 “This is the song of insomnia, and I shall sing it,” Marina Benjamin declares.